Game Boy Interface is an alternative to the Game Boy Player Start-up Disc software. It still requires the Game Boy Player hardware. 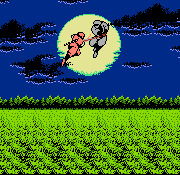 Game Boy Interface is currently available in three different editions: Standard, Speedrunning and High-Fidelity. Hold Start + Select in the GBA BIOS to access. Requires the GameCube SD Card Adapter. Press Reset after writing to ensure file closure. For more information, visit the GC-Forever Wiki. Extract archive to root of SD card. File descriptions below. *.cli – For static configuration using Swiss. Can be appended to *.dol for other loaders. *.dcp – For dynamic configuration using Swiss. Booting Homebrew – How to get started with GameCube homebrew. Enhanced mGBA – An enhanced port of the Game Boy Advance emulator. Swiss – The swiss army knife of GameCube homebrew. Last edited by Extrems on Tue Jul 03, 2018 9:03 pm, edited 87 times in total. Wait, so what's this exactly? A GBA emulator of some sort or is it some sort of IP streaming app? I got really confused, I only see a gbi.dol in there so I suppose it is a Wii/GC homebrew app but I can't test it right now. This looks like an alternative to the disc entirely. Hmm, less filtering than the Game Boy Player disc would be nice. Perhaps 240p too. 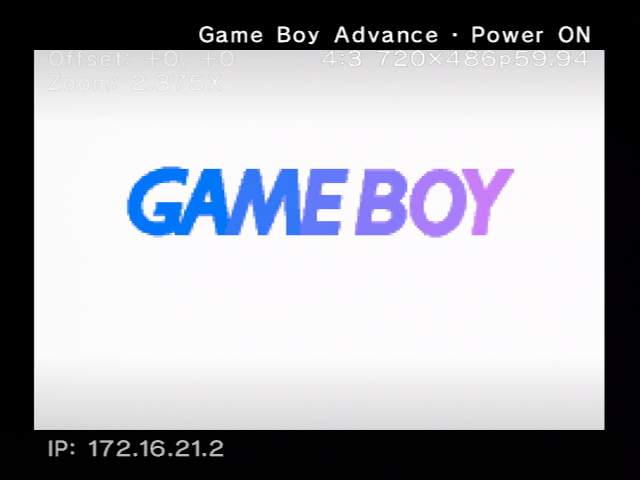 So it's a app that allow to boot GB Pak from GBA player, right ? What's this "2-3 frames latency" feature? Is it an option, or is this the expected latency when streaming the game from the network or something? It sounds like it's a feature in that he's got it working so well with such minimal lag compared to perhaps the official disc. 2-3 frames latency is considered high and is higher than the Game Boy Player Start-up Disc. It was a necessary sacrifice in order to support framerate conversion. The minimum latency achievable with the Game Boy Player is near zero as it uses a line buffer. theclaw wrote: Hmm, less filtering than the Game Boy Player disc would be nice. Perhaps 240p too. 240p is the default mode. Rocking the boat, extrems. Thanks for this!! Really handy for not swapping discs, and even more if it's planned to be better than the original disc. Extrems wrote: 2-3 frames latency is considered high and is higher than the Game Boy Player Start-up Disc. Wait, isn't the GBA's framerate 60fps ? In this case why do you even need to convert it ? Woah, this looks awesome. It even has 16:9 support! I can't wait to test this thing out!! I just have a basic mod chip in my GC and don't have an SD loader. How could I burn this to a disc? Thanks, but I actually found that same page and tried to make a bootable iso, but it didn't work: It just sat at the GC title screen. I tried testing it by first booting to swiss and then launching the GBI disc I created, but it didn't seem to work right and was stuck in 480i mode (I'm sure that was my fault, not the GBI software). I'm all out of mini-DVDr's, but ordered more that will arrive tomorrow. If anyone has a tested and working .iso they can share, I'd really appreciate it. 480i suggests you're using a component cable. 240p isn't available when signalling EDTV capability. Extrems wrote: 480i suggests you're using a component cable. 240p isn't available when signalling EDTV capability. Right, component. Is it possible to have a startup screen for the disc, where you can select what resolution and aspect ratio you'd like? Also, is there any way to offer button mapping, maybe on the same startup screen? Anyone who uses controller adapters (such as NES-to-GC, or SNES-to-GC) can't use "select", since it's not mapped. Once again, thanks so much for making this! Which adapter in particular? They seem to map Select to Z, as this does. Cool project, but I'm having problems getting it to run properly. I'm using the Datel SD Loader on a PAL Cube that's connected with an RGB cable to a CRT. When I try to boot the dol directly through the SD Loader I only get a black screen. When I load it through Swiss it boots up, but seems to be 576i, even though it shows 288p on screen. I assume the arguments would allow me to start it in 240p, but I have no idea where I can enter them. Is there an option for it in Swiss? It's not just the Select button though, I often find that when using a SNES controller, it's more comfortable to use Y and B as the B and A buttons (respectively). Button mapping is obviously a low priority compared to everything else, I just wanted to mention it. I'd be happy to help with any testing if you'd like. blizzz wrote: I assume the arguments would allow me to start it in 240p, but I have no idea where I can enter them. Is there an option for it in Swiss? Set Swiss Video Mode to 480i. The only loader that supports arguments on GameCube is GBI itself through wiiload, using a Broadband Adapter. Ugh, those blasted TV makers who leave out 240p component support. Ruining our fun. Added digital PWM sound, with some glitches. Extrems, this works REALLY well. The sound is excellent and everything played very smooth. In fact, it was still smooth, even when stretching to 2.375x. I've tried almost every GB-on-TV solution available and I've never seen one scale this smoothly. Thanks so much for the excellent work. Is that something that's possible? Once again, thanks SO much for this! No frames will drop until 3.5x zoom, and that's under certain conditions. You can trick it into using 240p by momentarily disconnecting the cable. However, non-integer scaling in 240p is suboptimal. 480p is used if progressive scan has been enabled in a GameCube title.